Startup.NetworkBusiness loansBuilding of asphalt factory, delivery and asphalt paving. In this paper, to analyze the structure and viability of the company, its market position,strengths and weaknesses; to develop a marketing plan that includes marketing strategy, distribution channels and effective market communication, allowing a stable position in the market; consider production - economic and financial activities of the company, earnings and profitability, the fixed and current assets, the number and turnover of staff and some other economic indicators. facilities, laying of asphalt pavement. means of drawing up a contract for the supply for a period of 6 months to 5 years. A priority market for the company’s products are involved in the construction and repair of roads, airfields, sports facilities and playgrounds. Sale of finished products will be carried out by means of drawing up a contract for the supply for a period of 6 months to 5 years. Risk assessment of the project. The risk of the current project is assessed as “medium” and according to expert estimates of cumulative method, set at 9%. Analysis of the strengths and weaknesses of the company - a very important area in the enterprise. strengths and weaknesses with the opportunities and threats to, will have to face the enterprise. group of questions concerns the external factors and includes opportunities and threats. and weaknesses of the company. and services; availability of competitive advantage; the ability to innovate, etc. winter boxes for the repair of vehicles. (diagnostic equipment, keys itd) : 100.0 thousand euro. 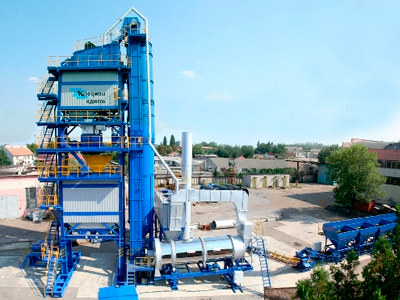 Purchase a set of plant for the production of asphalt : 1231.0 thousand euro. Acquisition of equipment for the car plant : 1596.4 thousand euro. Purchase of vehicles for asphalt : 3013.5 thousand euros. Working capital and reserve fund : 750.0 thousand euro. Stabilizer 1600 KVA TRIFAZ CETINKAYA : 49.60 thousand euro. Krusher Yaman Makina VB-1 : 281.0 thousand euro. Other fixed assets : 167.3 thousand euro. The planning horizon : 5 years. compile and analyze the economic and mathematical models proposed in the business plan of the event; to calculate the cost-effectiveness of a plan of production of asphalt, delivery and laying of asphalt; assess risks and insurance activities of the organization; to formulate a financial plan, test its effectiveness by using the following economic indicators: the integral economic effect, internal rate of return, profitability index and the period of repayment of capital investments. components and instant paving this material. the asphalt cannot be compacted to the desired state, as it becomes quite fragile. each type of asphalt has its purpose. Coarse. This asphalt is used in the process of resettlement of the lower layers of the road surface. large fraction (20 to 40 mm). as a top layer in the case of two-layer coating. The mixture contains rubble fines (5 to 15 mm). The difference of these methods is to adjust the temperature level of the mixed components. components. The cold asphalt only one of the components in a heated state. 3. storage of the finished asphalt mixture at a temperature of 150-180 ° C.
Risk analysis of the investment project. value (NPV), internal rate of return (IRR) and the payback period. optimistic assessment of future sales. of the project affects the risk of exceeding the budget. the country and the risk of entry of new players and others. use specially designed logic card project - a list of questions to help identify the existing risk. margins due to rising commodity prices.